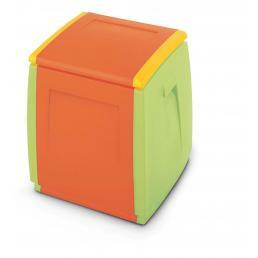 The Terry Kids line is designed to keep the children's room tidy: they are light and resistant plastic containers with rounded corners to avoid any kind of involuntary accident. 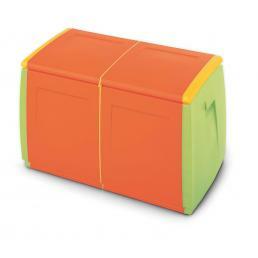 Terry Kids trunks are made of soft and resistant plastic, designed to be shockproof and scratch resistant, ideal to keep in the children's bedroom to store toys and other objects. Available in the only orange and green color, they brighten up every room and take up little space. They are also ideal to keep outdoors, because they resist perfectly to rain and wind, as well as having a secure closure that prevents the entry of water or dust.